The third year of Dynamite's Vampirella starts here! 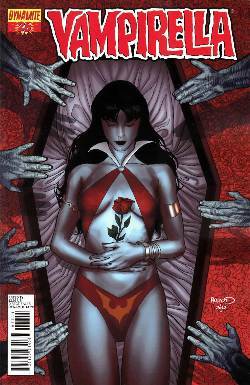 There's a new dawn on Earth, and a new beginning for Vampirella in the aftermath of war. Who are Mother Rowan and the Sleepless Boys, and why have they called for our heroine's help? A Dynamite Done-In-One, perfect for longtime fans and new readers!